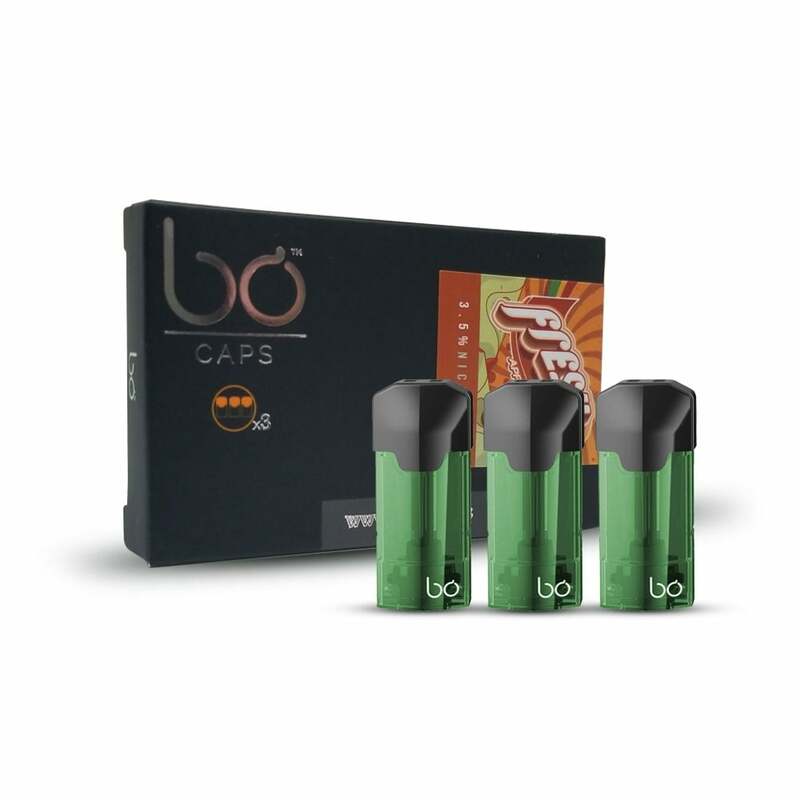 As refreshing as it gets: Apple Juice pods by BO are packed with crisp and juicy flavor and infused with nicotine salts for unbelievable satisfaction with no harsh throat hit. Perfect first thing in the morning or as an all-day vape, BO Apple Juice caps are one to try if you love a fruity pod flavor. Each pack of BO Apple Juice pods contains 3 pods brimming with fresh apple flavor. For use with the BO One Starter Kit. The apple juice flavor has helped me quit smoking cigarettes for a month now. Ordering from your company has made it easier to always have the caps on hand. Ordering is simple and delivery is expedient. Overall I am a thrilled customer. Delicious, good quality and good value. I absolutely love the flavor of these and unlike the other fruit flavored Bo Caps, these don’t pop, but halfway through I noticed I have to draw a little harder causing the coils to burn a little bit. This causes a harsher vape but nothing unbearable. These are the best Bo caps I’ve bought. The flavor is like a sour apple candy. I highly recommend them! This apple flavored Bo cap is fantastic! This has to be the best flavor I’ve tried so far. It reminds me of sour apple Jolly Rancher candies. Aside from the mixed berries flavor, this apple flavor has the strongest taste & it’s not too sweet, it’s just right. I believe I’ve found my favorite favor so far in the Bo cap collection. I will definitely be purchasing more of these & I highly recommend you give it a try if you enjoy fruit flavored Bo caps or eliquids.